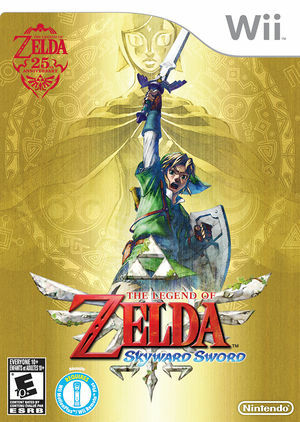 The Legend of Zelda: Skyward Sword (ゼルダの伝説 スカイウォードソード, Zeruda no Densetsu: Sukaiwōdo Sōdo) is an action-adventure game for the Wii console and the sixteenth entry in the Legend of Zelda series. 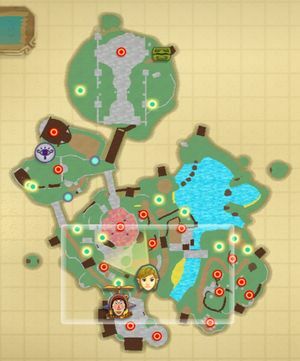 Nearly 5 years in development, the Skyward Sword departs from many of the traditional Zelda norms, featuring new controls, a new art style, and formula differences. 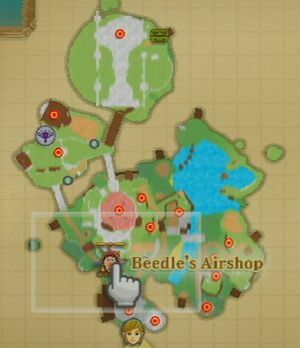 Skyward Sword requires either the Wii MotionPlus add on or a Wii Remote Plus. 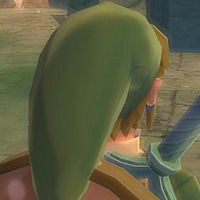 Skyward Sword heavily integrates the use of the Wii MotionPlus; swordplay, for instance, is integrated with the controller to a point where the player has one-to-one motion control over Link's sword and its attack directions. 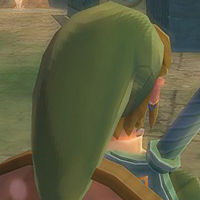 In contrast to earlier installments, battles do not focus solely on timing attacks, but also on their target, such as the direction in which enemies are hit. This also allows for the sword to be integrated into puzzles to a greater extent than in previous titles. This title requires the Wii MotionPlus add-on. Dolphin is currently not capable of emulating the Wii MotionPlus; the only way for official Dolphin builds to play this game is to use a real, physical Wii Remote with Wii MotionPlus add-on or a Wii Remote Plus controller. See issue 3446. Recent Wii Remote Plus models do not pair with Dolphin when using Windows 7 or earlier with the MS bluetooth stack, the default Bluetooth stack on Windows. Both the Toshiba Bluetooth stack and the DolphinBar are not affected by this issue. Windows 8 and beyond are unaffected by the issue and Wii Remotes can be paired normally with the default Bluetooth stack. See the Wii Remote Plus (RVL-CNT-01-TR) Connection Guide for instructions. In Bluetooth Passthrough mode, Wii Remote Plus models can be synced and used just like any other type of remote. The map is rendered with fewer colored subsections than it should have. Refer issue 9070. During sword strikes or other rapid successive movements, the Wii Remote may lose calibration. This can happen even on console, and to help alleviate this the game has a built in automatic calibration whenever it sees the sensor bar, as well as a built in manual calibration feature: press Down on the Wii Remote's Dpad while pointing at the sensor bar will calibrate it anywhere instantly (preferably in a menu, but calling Fi will fix it as well). Use these features any time the motion controls become desynced. Unfortunately Emulated Bluetooth exhibits this behavior worse than console, making it desync more regularly. Bluetooth Passthrough however behaves the same as console, and is recommended if you are having trouble with this issue. Banding may be present in shading on characters and surroundings. To fix it, turn on Force Texture Filtering. Enabling Skip EFB Access from CPU can prevent you from aiming properly. A thin (1px) black line appears when the Internal Resolution is set to Auto (Window Size), appearing above the lower right quadrant of the screen. Use other Internal Resolution settings to avoid this problem, which is inherent to the hackish nature of fractional scaling and is unlikely to be fixed. See issue 6640. Skyward Sword Remastered (Remember that the game ID changes depending on the region, and as such the name of the folder downloaded might need to be edited accordingly). The graph below charts the compatibility with The Legend of Zelda: Skyward Sword since Dolphin's 2.0 release, listing revisions only where a compatibility change occurred. 3.0-208 Windows 7 Intel Core i7-950 @ 3.07GHz NVIDIA GeForce 460 1920*1080, No AA, 16x Anisotropy, 3x native int. res, EFB to Texture. D3D11: Works well except when there are timestones in the loaded area, where Link will render behind objects and the terrain if it is within a certain distance of the camera. OpenGL: Also works well, except dynamic meshes (That is, the piles of sand that are around in Lanayuru) don't render at all. The only way to spot them is by looking for strange artifacts in the DoF "bands". 3.0-223 Windows 7 Intel Core i7-950 @ 3.27GHz AMD Radeon HD 6870 x2 Perfect graphics and 30FPS everywhere. No problems at all.